Rebalancing Splash is an intensive fluid that restores the blemished and oily skin. Rebalancing Splash [24H Multi-Active Clarifying Formula] is an intensive fluid that restores the blemished and oily skin, reduces the production of sebum, reduces impurities, and contains ingredients with anti-inflammatory and anti-bacterial properties. Your skin looks mattified and healthy. For daily use. Every morning and evening, apply evenly to cleansed skin. 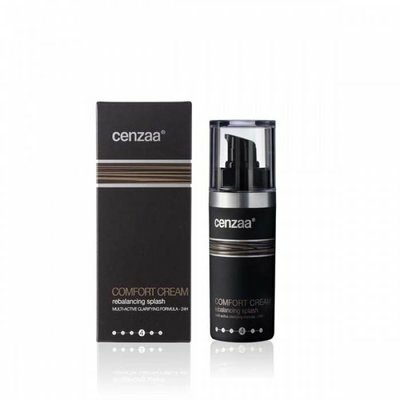 Ask your Cenzaa Therapist for the Cenzaa Skin Analysis, in order to get the best results for your skin type. Werkt goed bij acne. Fijn product!